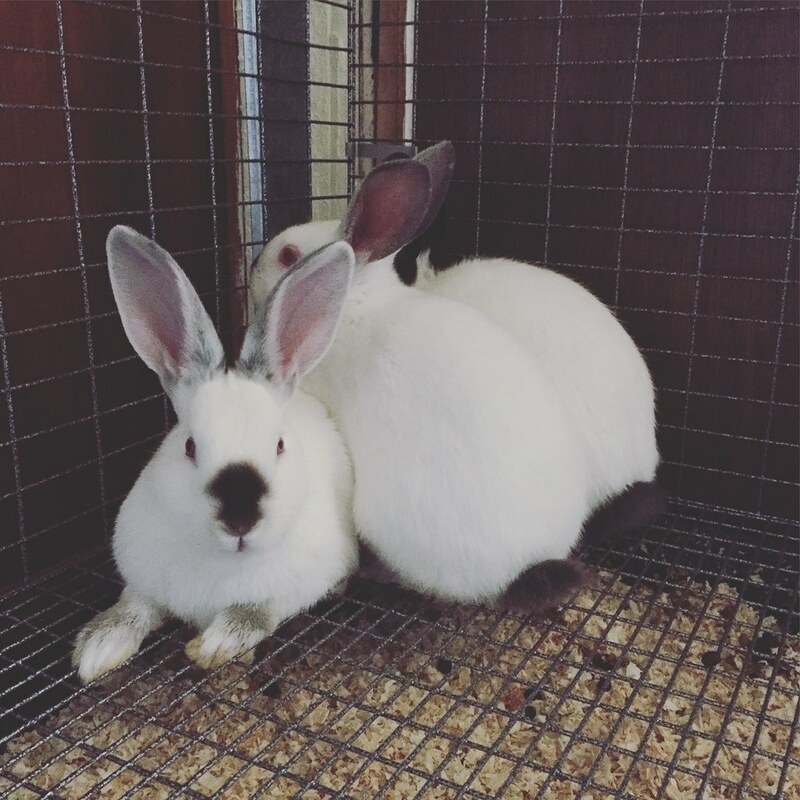 Chickens might be the “gateway” farm animal, but you just can’t stop at one pair of rabbits. 😉 Stu and I went to Phoenix for a little getaway while he had some coaching meetings and I browsed craigslist as I’m known to do. It gets me in trouble. Ha ha!! 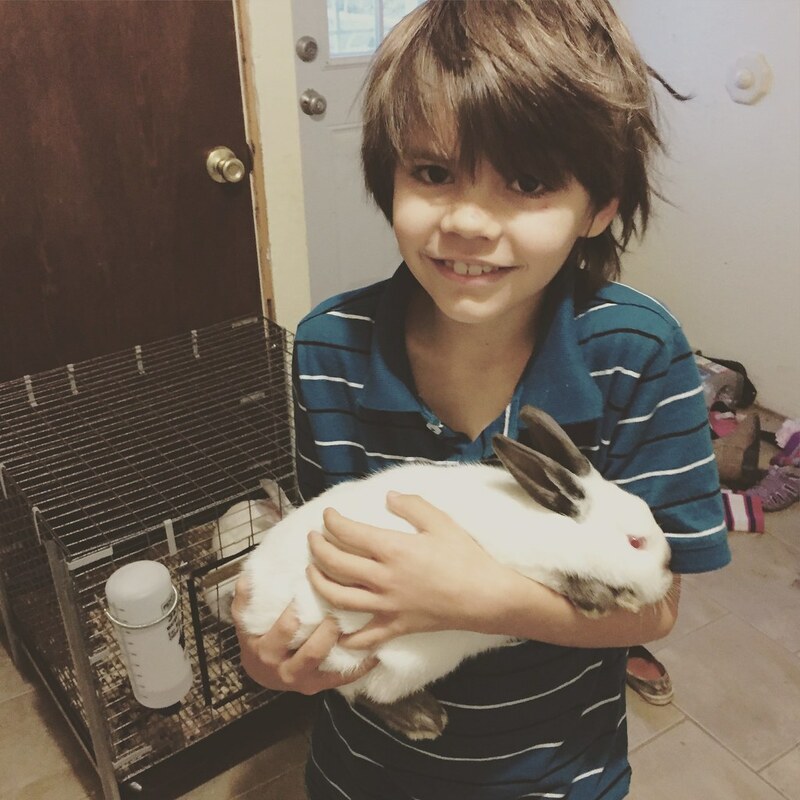 The thing is that our little community was starting up a 4H chapter and we wanted to get our kids involved, I decided that since we want to do meat rabbits anyway, we’d start our kids off with those. 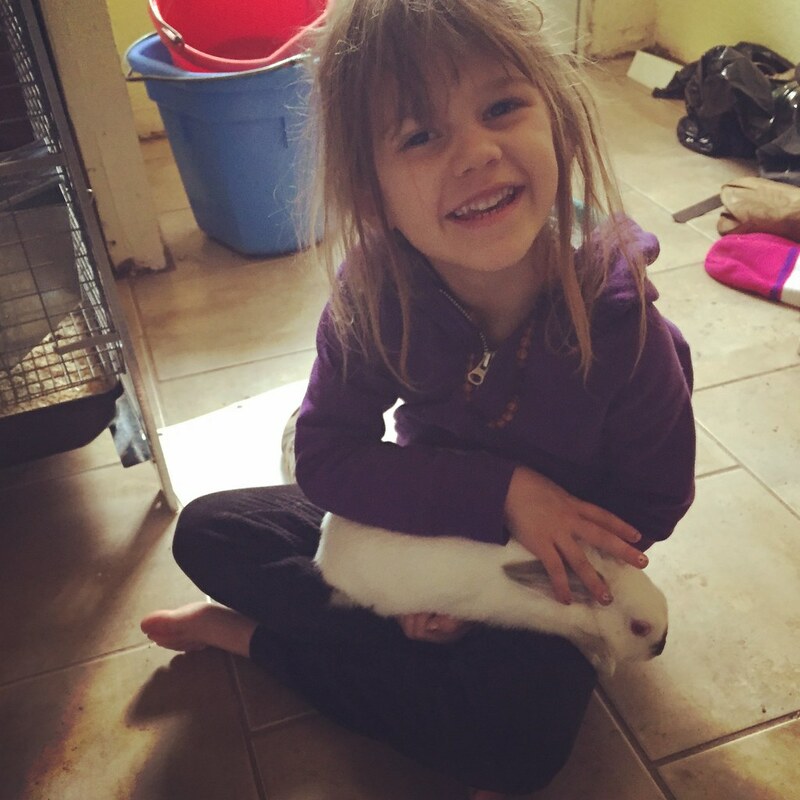 The kids were thrilled to have bunnies, and I was happy to have some good meat rabbits to start our meat program with. This one has been named Angel. And the little boy has yet to be given a name as our other lad is waiting to find the perfect name for him. All of them seem to be doing fantastic and adjusted well to their new life here.